Extremely popular in China, Puerh tea holds promising health benefits through its unique fermentation and ripening process. This special process enhances the antioxidant ability including polyphenols (catechins), Vitamins B, C, E, P, and K, while increasing statin and GABA levels, making Puerh a highly effective healing beverage. After processing, the tea is compressed into bricks for aging, or left as loose tea which Numi is using in these new tea bag blends. &#8226; Aid in cancer prevention through its high antioxidative capacity. Online store http://www.numitea.com & store locator. 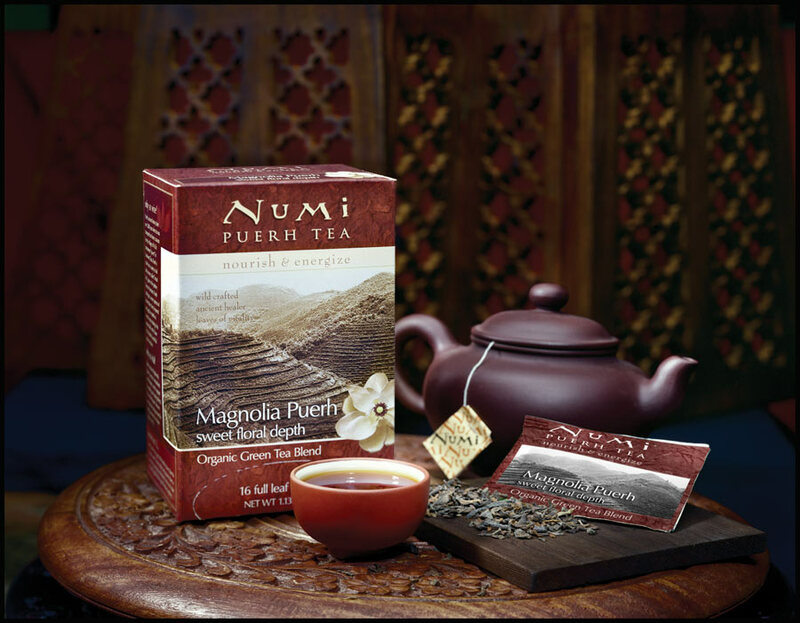 Numi, LLC, is a leader in the natural & specialty tea category. Brother and sister founders Ahmed and Reem Rahim founded the company in 1999, which is known for premium full leaf teas, herbal teasans and an innovative line of Flowering Teas. Numi's whole leaf teas are never treated with artificial flavors, colorings or oils common to the market resulting in a pure clean taste. Numi is committed to global consciousness and sustainability in its packaging and business practices. 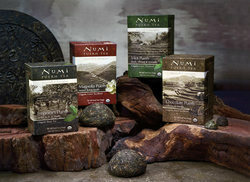 Numi Organic Tea is available in natural & specialty grocery stores across the U.S.